Welcome to a daily feature at GFFN, where, thanks to the collaboration that L’Equipe de France and Spotify have agreed to this summer, the public has access to the Spotify playlists of several members of the French national squad so that you know exactly what they listen to before those big games. The player clearly has a more varied musical taste than some of his other France teammates, with the calming Ne-Yo and the cultural Andrea Bocelli among the artists featuring on his Spotify playlist. 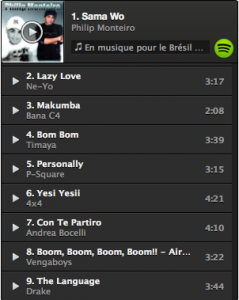 To get involved with Spotify and L’Equipe de France’s playlists, click here.